Enterprise has launched a new promotion with Virgin Flying Club. 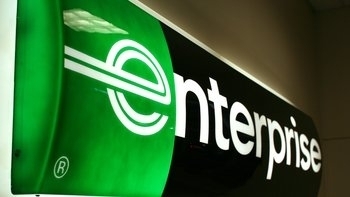 The standard earning rate with Enterprise is 100 Flying Club miles per day. At present, this is quintupled. You will receive 500 Flying Club miles per day, up to a maximum of 6,000 miles per rental. If you need a car for a long period, perhaps over Easter, you could do very nicely here. It is worth noting that ALL car sizes are included. A lot of car rental deals we cover require you to book a Group C estate car or above, whereas Enterprise is happy to give you the bonus on smaller Group A and Group B cars too. Full details are here on the dedicated Virgin Flying Club / Enterprise website. Virgin Flying Club will not be running a transfer bonus to Tesco Clubcard this quarter. There is a competition instead. Convert your Tesco Clubcard points into Flying Club miles between 1st February and 30th April 2019 and you will be entered into a prize draw to win one of 10 prizes of 100,000 miles. Looking at the rules, it appears that you only get one entry per person irrespective of the number of transfers you make or the size of your transfers. If you have a lot of Clubcard vouchers you might want to take a punt on the smallest £2.50 conversion for 625 miles in order to get an entry. Full details of the Virgin / Tesco Clubcard partnership are here. There is no word on whether British Airways Executive Club will be running any sort of offer or competition. This is only the second time we’ve ever mentioned Mövenpick Hotels on Head for Points! The previous article was in 2018 when the company was acquired by Accor. The chain operates 80 properties, mainly in Germany and the Middle East. Mövenpick Battuta Gate in Dubai is pictured above. Until 31st March, you will earn 1,500 Lufthansa Miles & More miles with a Mövenpick stay. With Miles & More miles being trickier than most to pick up, this is a good opportunity – especially as 1,500 miles should be worth at least £15 if redeemed for a business or First Class seat. Full details are on this page of the Lufthansa website. Worrying news about the Virgin/Tesco competition. I sincerely hope this does not mean the end of guaranteed 20% transfer bonuses every year. Yeah I was hoping for a bonus, have maxed out Uber credit and bought RAC so was fancying transferring some to VS at a bonus! Excellent news on the Enterprise car hire, assuming it works for existing bookings as long as they get your VS FC id before you pick up the car? Is the best use of tesco vouchers still Hotels.com/uber vouchers? If you use Uber anyway then yes, because it is a ‘clean’ 3x. Hotels.com does not give reward night credits using Tesco so you are losing 10% that way, which makes it more like 2.7x face value. People always forget the potentiality of Tesco Clubcard points—>Avios/ Virgin miles vs TCC—>Uber/ Ubereats. Uber £££s can only ever be worth face value of the Uber credit. Whereas airline points can often get you a flight worth far in excess of face value of those points. Let’s say you have a personal rule that you’ll never redeem airline points which save you less that 1.2p/ point – otherwise your rule says you’ll pay cash instead. Hey presto – your airline point is always worth more than 1.2p/ point. However not always easy to out do 1p per point especially on virgin (or if using economy long haul out of the UK). They can charge more in fees (+points), then they have reduced the cash price to. There seems to be a lot of cheap economy tickets to the US around in the at the moment. The best approach is to keep the points in their source form so far as possible, i.e. Tesco Clubcard in this case. Don’t forget that Tesco credits change from vouchers back as new points, so if you don’t immediately want to use your expiring vouchers in full simply grab the minimum in Uber/Avios/Flying Club Miles etc. from each voucher to top up your account, and you then have another two years to use the balance of each one. It’s replacement cost that you need to consider in this thinking, not what you would sell them for. Assuming you would pay cash for for Uber, then taking avios costs 1.25p per point (3/2.4). This should then be compared to the replacement cost of the avios (i.e. circa 1p in the seemingly ongoing promos). In which case, use Tesco vouchers for Uber and buy your avios for 1p (you can then use them for whatever you would then use them for at a price you’re happy with; hopefully more than 1p). Surely it just has “potential” rather than “potentiality” ? Any recommendations on best use of 40k nectar points? Go to Sainsbury’s and buy groceries or fuel or gift cards. How long does uber credit last? Possibly forever once the code is added to your account. The code itself expires if not added to your credit. Shared wallet. Tesco voucher will arrive within 10 minutes and credits instantly when added to the Uber app. If transferring TCC –> Virgin FC, does the names TCC holder have to have to have a FC account in their name? i.e. can I transfer from my wife’s TCC account to my FC account? Thanks! In theory no but if the surnames match it might work. Best to do a small test.